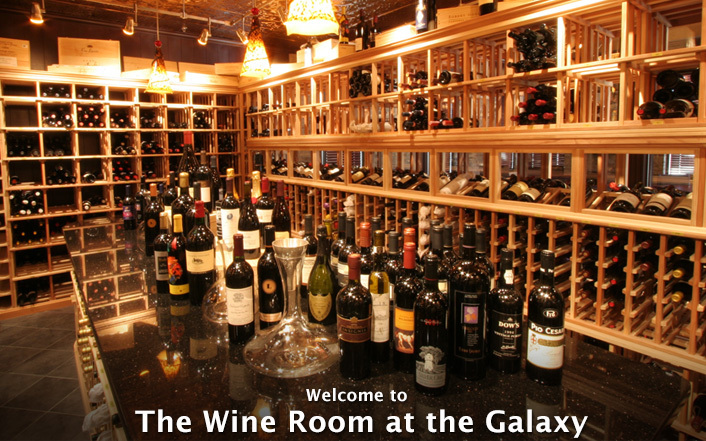 Welcome to the Wine Room at the Galaxy! Soft sophistication paired with cutting edge innovation equals a relaxed elegance in dining. 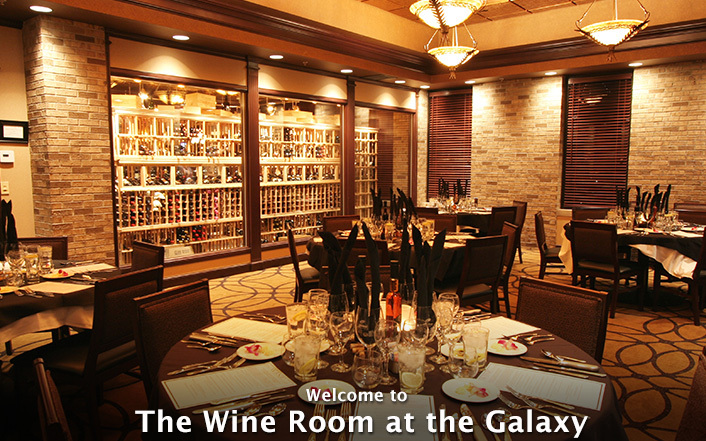 The Wine Room is the result of our culinary and service teams committed to making each visit a unique experience. Supreme freshness, sublime pairings of flavors and creations unique to the Galaxy make it so much more than just a “Night Out”… it is an experience to be savored. Join us in our cozy surroundings and choose from 50 wines by the glass and over 400 by the bottle from our award winning wine list. 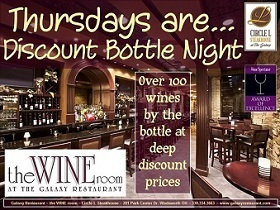 The Wine Room offers a wine bar, dining area, and private room (The Cellar Room) for larger dinner parties. Located in Wadsworth, near Akron and Fairlawn, Ohio. 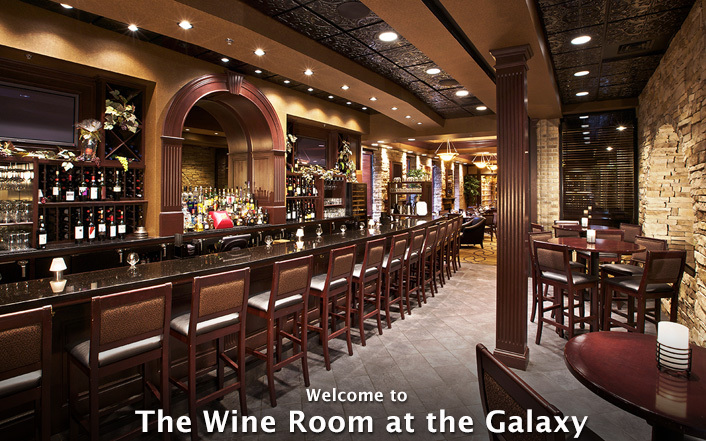 Happy Easter from your friends at the Galaxy Restaurant! We offer fantastic options for larger groups and private dining. Our dining rooms can seat larger groups up to 18 or choose the Cellar room, our private room which is in full view of the main wine cellar. Choose from our set menus or we can customize to your liking. 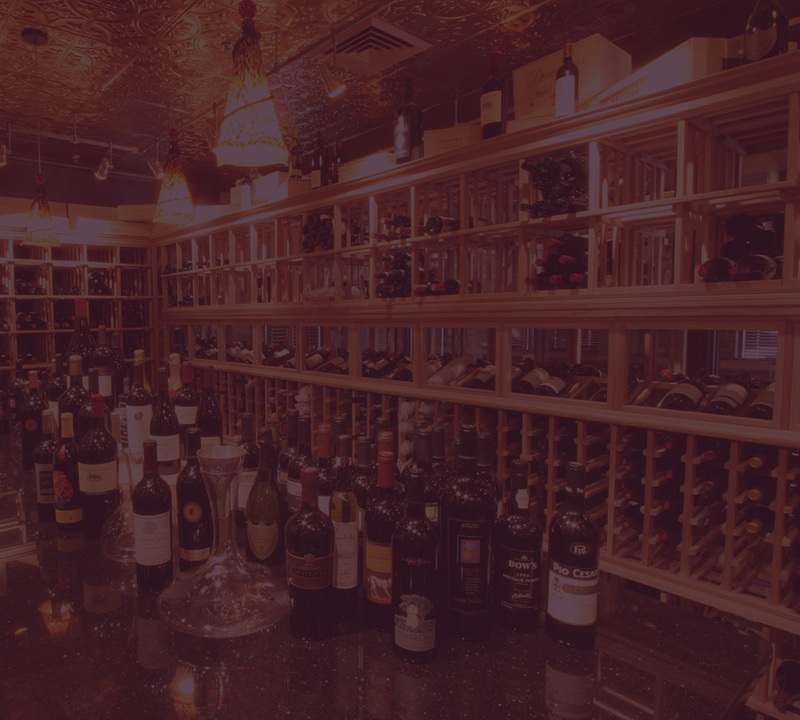 Whether a full dinner, or wine-tasting party with hors d’oeuvres, we’ll take care of everything!